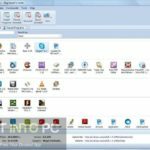 Stardock IconPackager With Isolation Icons Free Download. It is full offline installer standalone setup of Stardock IconPackager 5.10. Icon Packager is an application which can be used for changing the icons of your Windows and to give them a fresh new look. All this can be done by applying packages of the icons. A package has got a set of most commonly used icons on your PC. 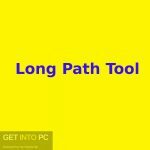 With this tool you can create your own icons which can later be traded with other users or can be saved as backup. Icon Packager has got loads of icons like icons for My Computer, Recycle Bin, Different folders and files of different formats. You can change the icon of one specific file by right clicking on the file and then going to the added icon tab as it has got shell integration. You can also give your icons your own defined colors. It has also got an Icon Explorer by which you can browse different icon styles and choose the one which best suits you. This program is very easy in its use and you can easily mix or match your icons. Below are some noticeable features which you’ll experience after Stardock IconPackager with Alien Isolation Icons free download. Can change the icons of your Windows PC all at once. Got a set of most commonly used icons. Can create your own icons. Can trade your created icons with others. Can save them as backup. Shell integration for easily applying icons. Can give your icons your own colors. Got Icon Explorer for browsing different icons. Can mix and match icons. Before you start Stardock IconPackager with Alien Isolation Icons free download, make sure your PC meets minimum system requirements. Click on below button to start Stardock IconPackager with Alien Isolation Icons Free Download. This is complete offline installer and standalone setup for Stardock IconPackager with Alien Isolation Icons. This would be compatible with both 32 bit and 64 bit windows.